The Best Fitness BFAB10 Ab Board is designed to tighten up your midsection, strengthen your back and improve your core stability. If you want to look and feel your best, start at your core! 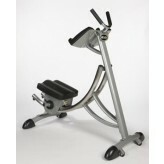 Comfortable and effective, Body-Solid’s BFAB10’s three starting incline positions (15, 20 or 25 degrees) enable you to take your workout and turn it up a degree. Best of all, the BFAB10 is fully assembled right out of the box. 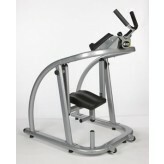 This ergonomically designed machine is built to help you tighten up your midsection, strengthen your back and improve your core stability. 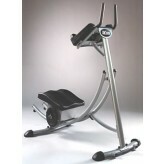 Dual functionality lets you target your lower abs with knee raises and your upper abs with abdominal crunches. 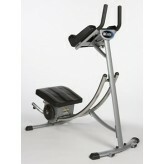 The BFAB20’s 45° seat angle puts you in position to isolate your abdominal muscles, for a more efficient workout. Plus, with two additional 5° reclining positions, you’ll be ideally supported for an entire range of core exercises. Shoulder, Incline, Chest and Decline Presses. 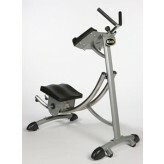 Pivoting Back Pad supports each exercise. Padded thigh and ankle supports.